Living paycheck to paycheck is a struggle. And most of the financial information out there doesn't apply to that situation. 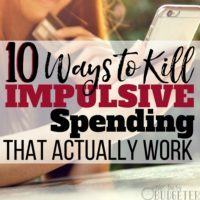 If you attempt a monthly budget when you live paycheck to paycheck and spend too much in any week, you'll overdraw your account, making your situation worse. If you live paycheck to paycheck, there's only one budgeting program (system) that I would recommend. It's the one we used to claw ourselves out of over $40,000 worth of debt. My days of living paycheck to paycheck are long over… and my sole purpose is now to help you leave those days in the past as well. 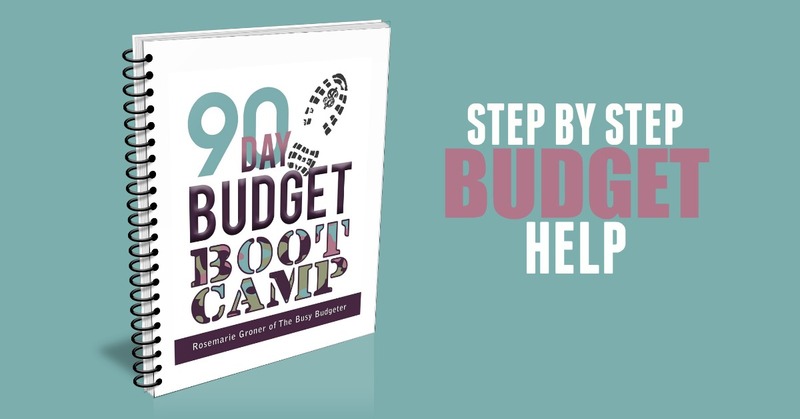 Join the budget boot camp here. Once you have your budget down on paper, you may be trying to figure out how to track your budget. You can track your budget with paper for a while (and I highly suggest you do), but once you get into the swing of things, it’s nice to have a program that tracks your budget more efficiently than you can on pen and paper. They even have life planners now, that you let you track your budget right in with your schedule/organizer like the Living Well Life Planner. If at any point, you find that once you start to track your budget on an app or a website, that you stop updating it, then abandon the app or website and go back to paper. The best way to track your budget is to use whatever method you will actually do. There’s nothing wrong with a paper budget. That being said, I love the convenience of using a program to do the work for me. 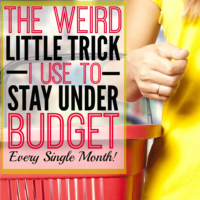 There are 3 budgeting programs that I recommend. There are tons of others available but if you have no idea what you want, these are sure bets. You Need A Budget (YNAB)- $60 for life. You can read more about which one is right for you here. For detailed instructions on how to use YNAB, watch this and go here. For detailed instructions on how to use Every Dollar, watch this and go here. Calendar Budget is best if you're living paycheck to paycheck. We’ll spend today going step by step through how to use Calendar Budget. I spent 2 years straight using Calendar Budget and love it. Because it’s free, it doesn’t have the marketing budget that the other programs have, so there isn’t as much info about it out there. Today, I’ll walk you step by step through how I used calendar budget to set up a budget and stay under that budget every single month. Who should be using Calendar Budget? Everyone can use Calendar Budget. 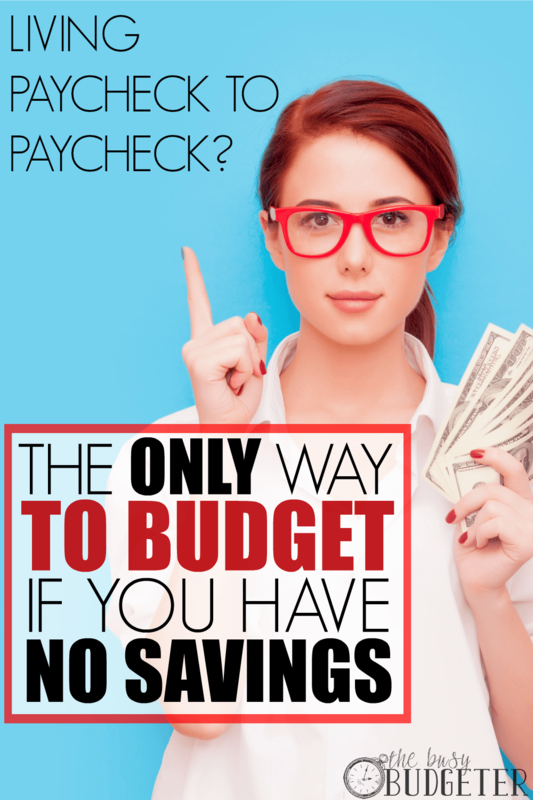 It’s pretty ingenious, but you should absolutely be using calendar budget if you live paycheck to paycheck. There is no other budgeting program that I would recommend to anyone that lives paycheck to paycheck. Paycheck to paycheck means that you don’t have $1,000 in savings. It means that if something unexpected happens, you could overdraw your bank account. The problem with traditional budgets is that they look at your month as a whole. You're going to make $5,000, spend $4,000 on bills and pay off debt with the other $1000. That sounds easy until you attempt to pay your bills and pay off debt on the 1st of the month and $2,500 of that income doesn’t come in until the 15th of the month. Then you’re going to be overdrawing your account, racking up fees, and living off of credit cards until that mess gets cleaned up. If you live paycheck to paycheck, you MUST know when money is coming in and when money is going out, and not just bills! You have to know when you need to buy a birthday present for an upcoming party, when you need money to meet your parents for dinner, or when you need to buy your Christmas tree. You need to know specifics! Calendar budget lets you put all of those dates on a calendar. Sign up for a free Calendar Budget account here. 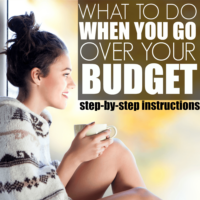 Step by step instructions to manage your budget with Calendar Budget if you live paycheck to paycheck. Sign up for a free account here. Enter a starting balance (whatever is in your bank account right now). You need to have a “start right now” date. There will likely always be pending charges. Enter your bank balance as it is right now and make sure those pending charges are reflected in your budget. So if it’s 1/1/16 and you have a bank balance of $225, but $25 of that is pending for groceries, and $25 of that is pending for clothes, which means your actual bank balance is $175 once those clear; I would mark in Calendar Budget a starting balance of $225, then make sure that my budget can cover the $25 groceries, and $25 clothes within your months budget. Grab the budget that you did on paper in this challenge, and enter your budget categories and amounts. You can see an example of how to do this is this video. Look at your calendar outline on Calendar Budget. I want you to start entering due dates for your monthly bills. Everything that you haven’t actually spent but are entering as a placeholder for something you know you will need to spend should start with “PROJ!! !” in all capitals. We use PROJ!!! to stand for “projected”, meaning that it's a projected expense and not one that has already been made. That makes it really easy to see these and delete them as the actual charge comes through from the bank. Doing this allows us to project out how our money will flow this month and beyond. Now, do the same with your income. Enter your pay dates into the calendar. Now look at your other budget categories. Things like haircuts, groceries etc. Assign those categories to dates where you’ll have enough money to cover it. For groceries, feel free to choose a weekly or bi-weekly amount. Remember to put in “PROJ!! !” for the amount since you haven't spend this money yet. Go through and set those dates that will be occurring monthly (likely all of them) to occur every month at the same time like in the video below. 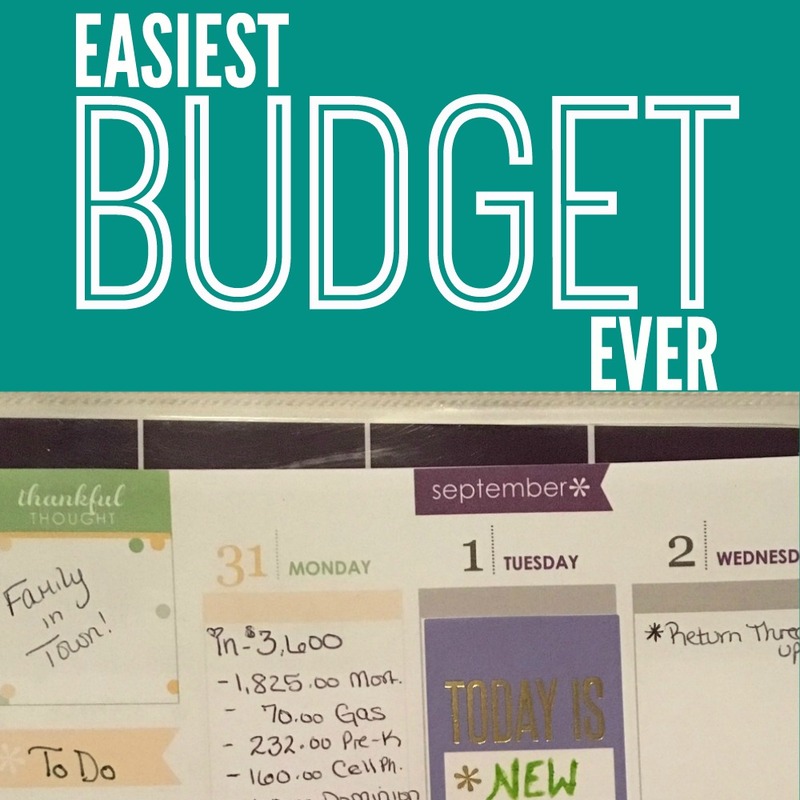 This makes it so that you have a “basic budget” set up right in your calendar. You’ll have to tweak it every month a little (like if you decide to reduce your grocery spending by $50), but it saves you from having to start from scratch every month. This allows you to look far ahead into the future. You can say, If I keep to this budget, then I’ll be a month ahead on all of my bills in 4 months. Or, I’ll be debt free by next January! That’s an incredibly powerful motivator to help you meet your goals. I automate all of our household purchases by buying them online through Target.com and Grove Collaborative (Grove Collaborative beats the prices of Target and has a lot of freebies- but they don’t carry everything I need). Shipping is free on both (you need a Target REDcard debit card for free shipping at Target. It isn’t a credit card, although they have that option as well). I set up subscriptions so they come every month and my spending on that stuff is extremely consistent. You can find out more about Grove Collaborative here if you want to try them and you can look at Target subscriptions here. Now that you have a budget set, you can start spending your budget. As you make purchases, you should go in and update your purchases to Calendar Budget frequently. 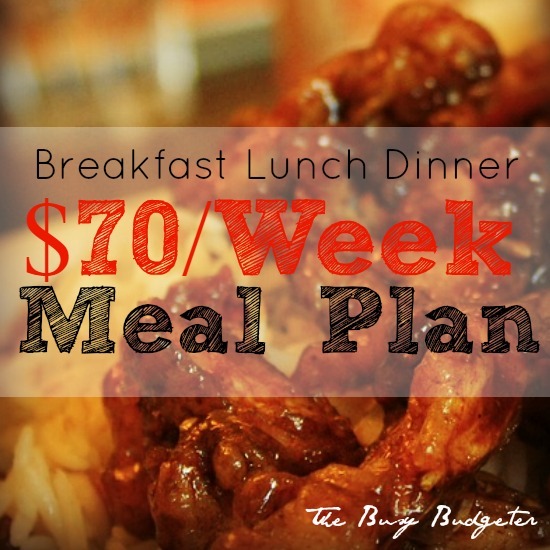 If you're brand new to tracking your budget, I want you to do this every day. Most days, you likely won’t have much to update. But make a habit of logging on, either every morning or every night and updating your budget. Go to your bank's website and log in. Figure out how to download your account activity (mine is a button on the side of the page when I’m in that account). You can download your account activity in a format for either Quicken or Microsoft Money (either file format will work). Save it to your computer in a place where you’ll remember where it is. Open up calendar budget and hit the scale button (balance reconciling assistant). Upload the file you just downloaded from your bank. All of your transactions will appear. One by one, drag them over to the date that the purchase occurred. Assign a category to each transaction as you do that. Notice when you assign a category that your budget on the left-hand side automatically updates so that you can see what you’ve spent and how much left you have to spend in that category. How often do I update? In the beginning, I want you to do this every day, even if it’s only for a week. I want to make this a solid habit for you. When you feel confident that you’re taking it seriously then you can update it once a week. If you make a ton of purchases, stick with daily anyway- it will only take you about 5 minutes a day. We update our budget weekly and that works out well for us, but we also don’t have a ton of purchases. Back when we still were making a lot of purchases, I did it every day. If you choose to update weekly and you miss a week, start doing it daily. This budget will save you so much money and will help you afford almost anything you want in the world. 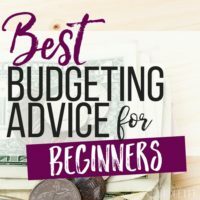 You can stay at home with your kids, go to Disney World, nothing is out of reach once you learn to budget. But… very few people actually budget because it’s something that has to be done consistently. You can’t spend hours making a budget and then never touch it again. It doesn’t work that way. Once you have $1,000 in savings or about $500 cash in a safe at your house, then set up automatic payments through your bank for bills. Wait until you have that “buffer” money. Like anything, this is a new skill set for you and you may a mistake in the beginning. I don’t want you to make mistake and overdraw your account and have no access to money. Credit cards are no longer an option for you if you’re paying off debt or living paycheck to paycheck. Don’t even think about them. Get the buffer cash available to you in case you make a mistake and then set up automatic payments through your online bank so you don’t have to worry about paying bills late anymore. Setting up automatic payments tells your bank to send out a check on a specific day of every month to pay your bills. You set the amount and it will do it every single month. You’ll still need to make adjustments for bills that change regularly (like some utilities). You can also use the strategy of paying a high amount for those bills and then skipping a payment when you pay ahead enough. At any point you can run reports to see your spending for any month by going to the report tabs. It will calculate your spending into charts and show you what your spending looks like. When you do this, you’ll quickly stop living paycheck to paycheck and you can upgrade into You Need A Budget or Every Dollar. Every Dollar is more expensive, but you don’t have to upload your bank transactions… it does it for you automatically. This is the single best tool to get you out of the “panic mode” with money. If you love using it though, feel free to keep it and not upgrade! It’s free after all! We used Calendar Budget for almost 2 years before we switched. Living paycheck to paycheck is a serious issue. I don't need to tell you that. You know that. You live with that stress every single day. I can't make you sit down and do this. But whether you read this and think “I should do that” and never actually do or you sit down tonight and actually implement this system is up to you. You are the only person with the power to change your financial future. You can do this. I can help. What's the worst thing about living paycheck to paycheck? Get more budgeting tips here. I’m so glad to help Tom! And thank you for both your service and sacrifice! I’m new to your blog and I feel like you’ve saved my sanity!! I’m a young mom of a 2 yr old and pregnant with Baby #2 who should be here any minute.. Money has a problem in our marriage from Day One and the calendar budget is the first time I feel we’ve been able to find a middle ground on a system that makes sense to both of us. I now feel hopeful that we’ll be able to pick ourselves up from the mess we’ve gotten ourselves into.. I’d love to see an article on the different categories to budget for and things that are usually forgotten.. I’ve set up this month’s categories based on the expenses we’ve had so far but I’d love to get ideas on things that are usually forgotten! Thanks again for bringing this topic into our lives! I loved this Anne! You can totally do this! Financial security will change your entire outlook! I have been doing something similar, using a Word document but this is going to make it so much easier!! Thanks for the share. When we started this, it really informed our spending habits. Hopefully, the calendar will help us cut even more on spending. Love Calendar Budget… I should get them to pay me as their PR person, haha. I just started my free trail, but I have a question. Where do you put the PROJ? IT sounds like it should be in the money amount, but when I do that it says what I have put is invalid. Maybe I am misunderstanding what you wrote above. Yep! The PROJ!!!!! is actually in the description (where “WELLS FARGO< CAR PAYMENT" would usually go). When you transfer your actual bank charges in, you don't want double reporting, so I do this so I can easily find them and merge this entry with the entry from the bank. I started my paper budget Jan 2016 and can’t wait to get comfortable to download calendar budget!! My problem has always been buying on sale and not realizing things go on sale again! Retraining myself if I don’t need it don’t buy it!! Mint by Intuit = Best budgeting tool ever that I’ve had! Links any and every account you have and automatically updates them. Plus, It’s FREE! The website has more tools to add more categories for budgets & the app is great too. I use ready for zero. You connect all of your debt accounts into it and it tells you how to pay them all off. Being that my biggest debt is student loans, this app is amazing, and free. It also allows you to manually enter bills that you have due and adjusts you budget. I also use 52 weeks. Which is a savings app. You program in how much you want to save and it divides it up over the year and you just put that much away every week to meet the goal. What I’ve been doing it entering the amounts of my student loans and saving that money up. I’ve been paying off the little loans for now. (Makes me feel accomplished) now I’m working on the higher interests accruing loans. I’m still in deferment for 20 months. I’m hoping I can make a small dent. If you can make payments while loans are in deferment, definitley do so. They will apply to your Principal balance, and not just get eaten up by interest. If you can find a way to save some, as well at a decent interest rate, at the same time, even better. And if you qualify for loan forgiveness, or can reduce or eliminate those loans via any of the programs offered through the Dept of Education, do so. There are several options, so don’t hesitate to ask. Reduce Stress with Budgeting Apps, Software or Services Creating a budget and sticking to it can lower your debt and erase stress, making you a happier and healthier person- I use Geltbox money -automatic download from any website (banks,credit cards). I like that I can keep my data locally instead of in the cloud. An excellent home finance planner and tracker. I’m so glad I found this Rosemarie, thanks! I’ve always been reading your blogging stuff and only recent got into your posts on saving money and budgeting. So helpful! We get paid weekly, looking for maybe an envelope type desktop program. Will this calendar work like that? I was excited about trying Calendar Budget. I had already tried both EveryDollar and YNAB and didn’t like either one. I was disappointed that the budget amounts in Calendar Budget are still monthly, and I can’t figure out an easy way to see how much I have set aside for groceries or gasoline until the next payday. I also don’t like that it doesn’t link up with my bank to import my transactions like the others do. I’ll keep looking for now. My spreadsheet works. I just get frustrated having to go through all of my bank transactions over and over because the bank doesn’t have a way for me to check that I have recorded a transaction and the order of the transactions changes, so every time I try to update my spreadsheet, I have to go through old transactions and figure out where I am all over again. The last two years have brought on so many challenges. My husband and I worked at the same employer and they let us go right after having our second child due to conflict of interests. Needless to say, it was a shock since it wasn’t an issue before I went on maternity leave. So, fast forward to 2017 and I’ve been a stay at home mom and my husband worked full time. We didn’t have a budget and have had so many issues with his job changing his income to commission and shortening his pay and working longer. So, he changed jobs…it’s less income, but consistent amd we know finally what we will get each pay period. To top it all off, we are due with a very surprise baby in July. Our third, and we are stressing over every penny and we keep going further and further in debt with property taxes and credit cards. We are just sinking and not able to breath. A time when we should be excited for a new baby, we are drowning and I feel stressed beyomd my 32 years. No savings, no ability to have a retirement, college savings for the kids. We will have three kids and no way to provide for them with the way things are going. So, I’m going to invest in your article and start today with a serious budget. 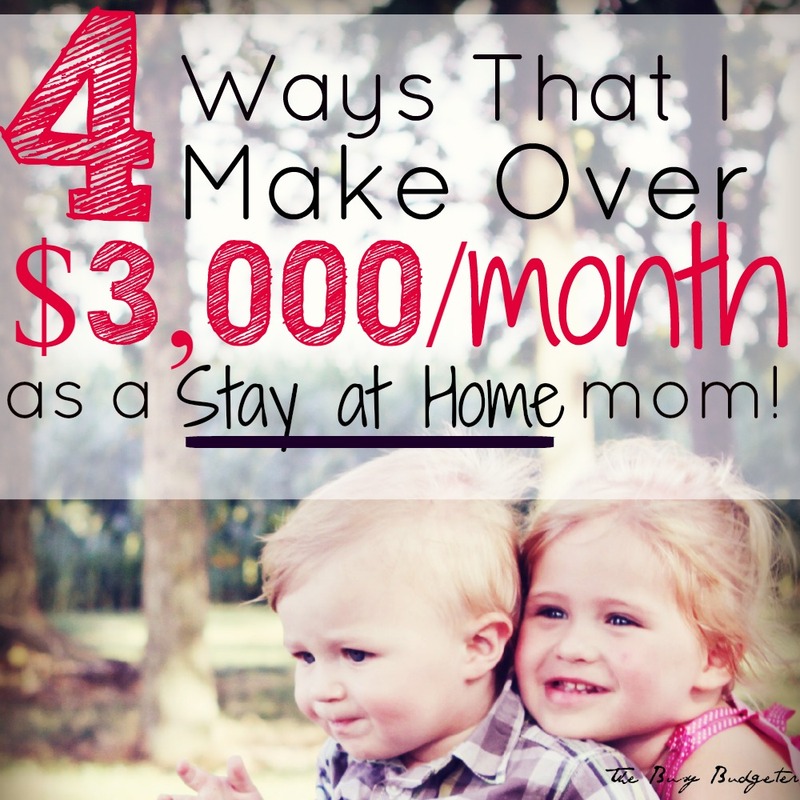 We only have about $250 to live on each month…so, I need to figure out how to get some extra in so we can buy food and gas to get my husband to work. Thanks for reading amd I’m glad I stumbled across this article. Calendar Budget is no longer free and I’m a paycheck to paycheck struggler. Any budget sites/programs available? I just found another one like Calendar Budget… it’s called DollarBird. 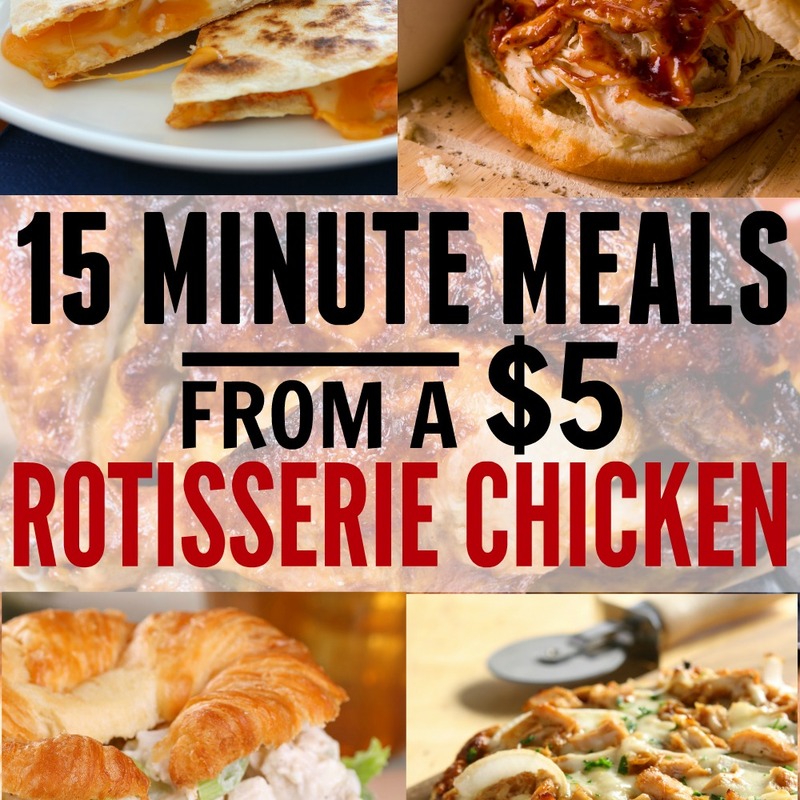 Give it a try, as far as I can tell it’s free unless you want to add some premium things. Thanks for sharing! I think planning and anticipating are a hard shift for the younger generation. Spontaneity, unless its free, doesn’t help budgeting! It’s a nice tool but CalendarBudget is no longer free, it’s now $3.99 a month. What to do if you are self employed and you aren’t sure when your money is coming. We usually play catch up. Luring people to a website who are living paycheck to paycheck and then trying to sell them a budget should be a crime. It looks like Calendar Budget is not free (or no longer is free). Still pretty cheap and I love to be able to see and project on the calendar. I am a visual person! you have YNAB listed as $60 for life .. thats a far cry from the $98 a year they charge !!!! Thanks for this Nick, apparently we need to update our info! Your article is very good. thank you…! For so many years I have wanted to create a budget for our family but could not do it because of money not being there on a consistent basis. Now I am looking at being just myself, 62 with rising housing costs and wages that don’t keep up. Not to mention having to rely on credit cards for medical/dental expenses.